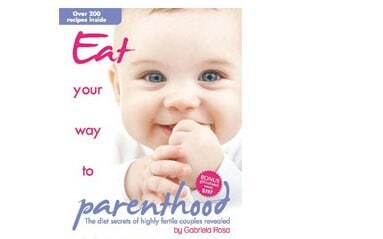 Eat Your Way to Parenthood | Gabriela Rosa, Fertility Specialist. In Eat Your Way To Parenthood leading natural fertility specialist Gabriela Rosa shares her proven step by step method to dramatically increase your chances of getting pregnant, staying pregnant,and having a healthy baby. 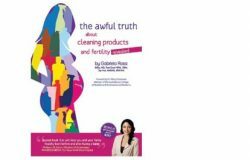 In Eat Your Way To Parenthood, leading natural fertility specialist Gabriela Rosa, shares her proven step by step method to dramatically increase your chances of getting pregnant, staying pregnant,and having a healthy baby. 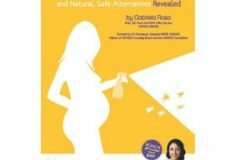 If you have been searching for the key that safely and naturally unlocks the real secret to your fertility, then you have found the right book at the right time. Are you and your partner ready to take back control over your own body and fertility? Are you ready for a fresh approach? The biggest obstacle to optimum fertility and how changing your diet can help you overcome it. The best way to eat healthy with foods that nourish your fertility and fast-track your way to parenthood. The 5 common foods that will create and perpetuate fertility problems. 3 easy steps to developing a delicious fertility boosting menu fast. Why age does not mean much when trying to have a baby and how the state of you and your partner’s health in the months prior to conception will transform your odds. ]The key habits you must develop now to ensure your prospective child inherits the best of your genetics. The most important things you must know about saving money on your grocery bills and spending less time in the kitchen. The myth of the ‘infertility’ diagnosis and how you can take control of your fertility, no matter what you have been told in the past. How you can use simple strategies to prevent miscarriage and congenital abnormalities as well as premature and stillbirths. The power to transform your fertility is inside you right now and Gabriela Rosa shows you the way.